Six months ago, an earthquake devastated Nepal, killing nearly 9,000 people and affecting the lives of over 8 million people, including 3.2 million children. The earthquake pushed an additional 700,000 people to live below the poverty line, resulting in a total economic loss of NPR 8 billion (US$ 800 million). Children under the age of 18 make up 44% of total population in Nepal. They are the future of this country. However, with more than 35,000 classrooms destroyed, nearly 1 million children lost their schools. Six months ago, an earthquake devastated Nepal and many victims are still in desperate need. 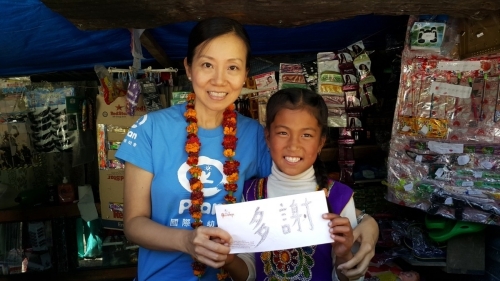 In early October, Kanie Siu, CEO of Plan International Hong Kong, visited Nepal. She witnessed the scourge of the earthquake and learned more about the local situation and the progress of Plan International’s relief work. What does 10 minutes mean to you? Many may not even notice the passing of 10-minute time. Yet, to Shanta, who lives in Makwanpur and survived the Nepal earthquake, the 10 minutes on 25 April this year was the longest and most terrifying moment in life which was very close to death. 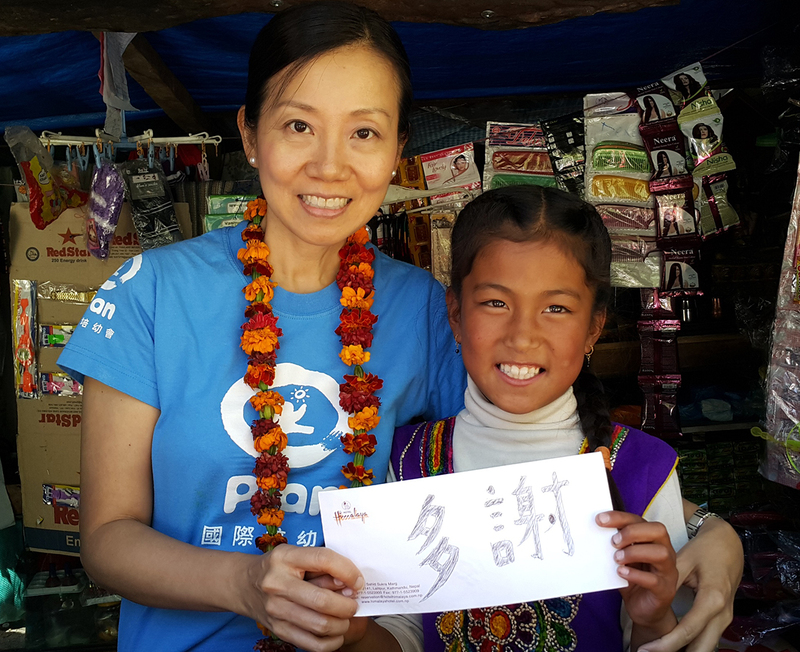 11-year-old Shanta is a sponsored child of Plan International. On that day, a 7.8-magnitude earthquake struck Nepal and millions of people were affected. Shanta was trapped under the wreckage of her collapsed home for 10 minutes before she was rescued. Though Shanta survived, she wasn’t happy at all and this experience left her in the shadow of fear. For a very long time, Shanta was afraid of staying indoors and was reluctant to talk. Whenever there was earthquake news broadcasting, she would become very scared, and even collapsed into tears. 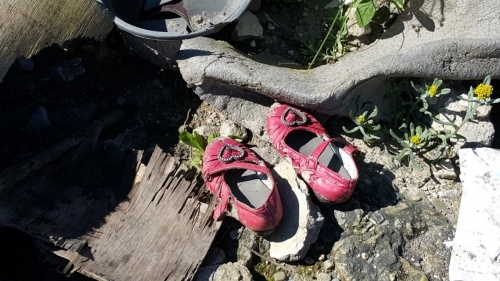 After a disaster, it is vital for children to go back to school and resume studies. Not only does it provide children with a safe environment, studying also helps them get back to normal life. Until now, Plan International has established more than 280 temporary learning centres with clean water supply and sanitation facilities. In a temporary learning centre in Makwanpur, many children were studying, singing, dancing and playing games, and Shanta was one of them. By returning to school, participating in activities and playing with peers, Shanta has gradually stepped out of the shadows of the disaster. She has let the smile return to her face. Shanta has gradually stepped out of the shadow of the disaster and smiled again. Our top priority is the needs of children after a disaster. However, we also address the community needs as much as we can. We get through tough times together with affected families and children. Earthquake victims can make money by cleaning roads, building toilets and doing other works. In Hong Kong, people always look for a bigger house located in a more convenient district. When do we genuinely worry about “safety”? Creating employment opportunities for 5,608 people. Plan International has appealed for an additional €20 million on a rehabilitation project for Nepal earthquake. The project aims to cater to the education, safety and shelter needs of children and their families in Nepal. These include providing construction materials to 65,000 affected families for building their houses and helping 135,000 children receive quality education by building transitional classrooms, etc. 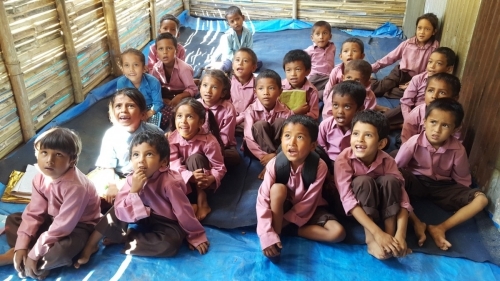 Many children are attending classes in a temporary learning centre built by Plan International. Nepal’s adoption of a new federal constitution has led to a deterioration of India-Nepal relations and India has cut off fuel supplies to Nepal. This fuel crisis has hampered our relief work. Winter is quickly approaching and temperatures in high-altitude areas may fall to -10 ℃. Plan International will distribute cold supplies such as winter coats, blankets, bed foams, etc, to families who live in high altitude areas. We will also provide fuel-efficient stoves for cooking and heating, as well as solar-powered lighting. Plan International distributes school bags to local children to help them resume studies. Nepal has entered the long recovery process. Improvements have been made. Nonetheless, children and families are still in desperate need for shelter, livelihood support and education. Please continue to support our work and bring hope to more people! 2. Bank Transfer: Please make a direct deposit into HSBC account #640-068292-838. Please mail the original bank receipt (mention: Nepal earthquake) together with your name, address and telephone number to Plan International Hong Kong. 3. Crossed Cheque: Please mail the cheques payable to Plan International Hong Kong Limited. Please mention: Nepal earthquake and write your name, address and telephone number at the back.